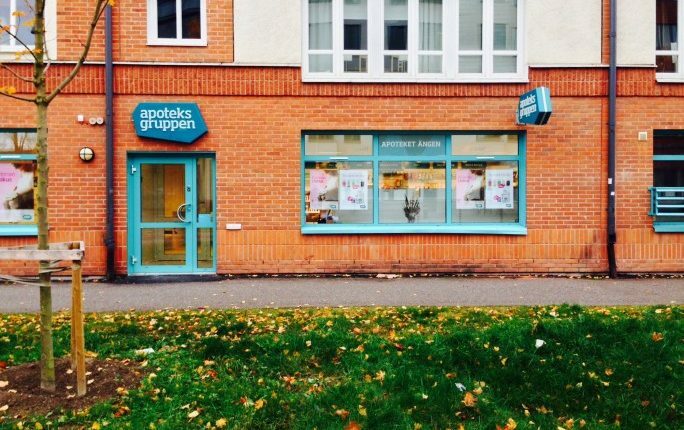 In 2013 Apoteksgruppen underwent a major re-profiling and change of logo and graphic profile. 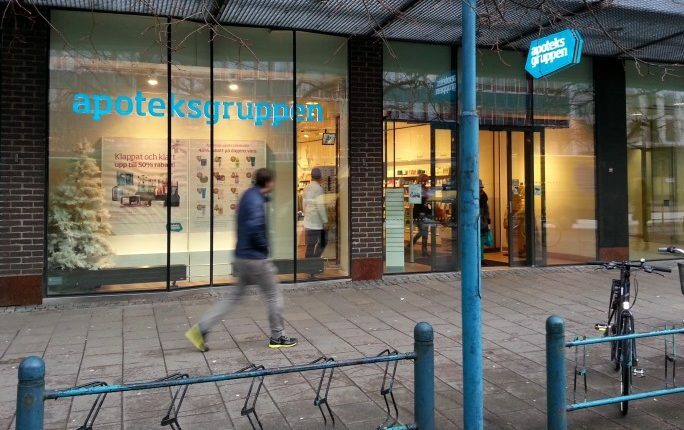 Focus was chosen to manufacture and mount new signs for 155 pharmacies – from Gällivare in the north to Borrby in the south. In the new logo, one of the diamonds has been removed from the previous profile and now appears free-standing with Apoteksgruppen’s text inside the form. This is what most of the signs look like. White letters in relief are fixed onto a diamond-shaped blue-green box with angled sides. Everything is lit up, from the front and sides. We also incorporated a brighter outline, where the front and sides meet, to further reinforce the diamond shape when the sign is illuminated.